Career technical education and SkillsUSA exist because we believe every student deserves career success. It's that simple. We're in the business of ensuring students are ready to excel in the workplace and as leaders of their communities. It's an awesome responsibility, but one to embrace because it defines our legacy of positively influencing student lives and supporting our nation's economic future. What do students need for career readiness? 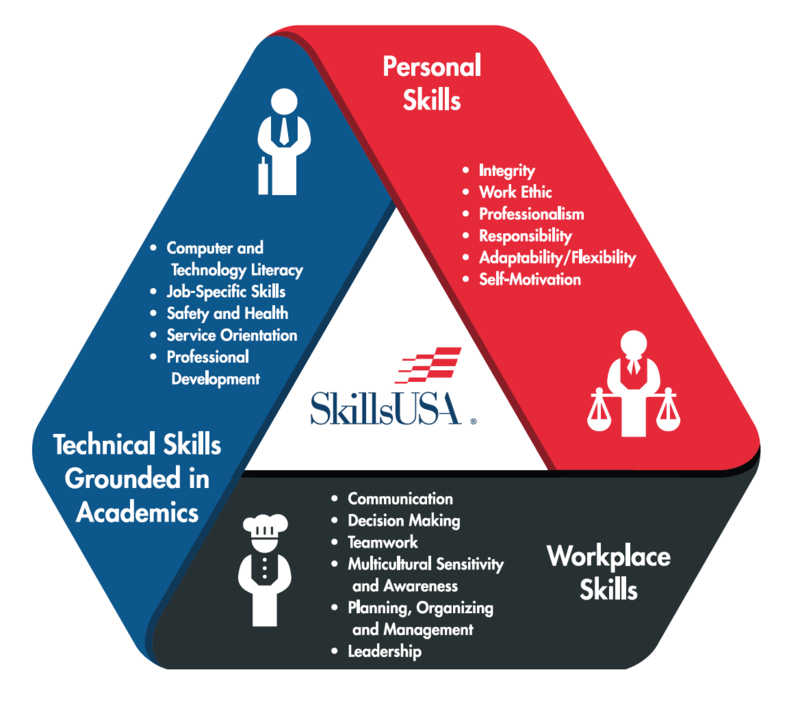 We believe the answer resides in the SkillsUSA framework for developing personal, workplace and technical skills. This trifecta of student success centers on industry demand and builds the foundation for relevant and intentional student learning and leadership development. Innovative programming, quality instruction, and industry partnerships focus on equipping students with the necessary leadership, technical, communicating and management skills to succeed at work and in life. When it all comes together, students have the opportunity to explore and experience high-demand, high-skilled, high-wage (H3) careers. And voila! Together, we address the skilled labor shortage while placing our members on a pathway to a better life.